Copper is a long-used, classically beautiful design element, whether as an architectural detail on a building (where exposure to the elements causes it to develop a striking pale green patina) or as the unique foundation for a piece of decorative jewelry. Delicate copper wire forms the basis of this dainty pin project. 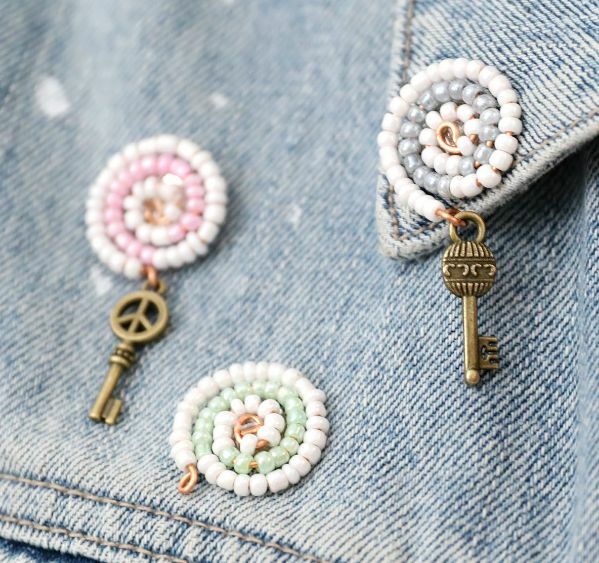 The supplies can vary to suit the crafter’s taste – the choices are nearly endless when it comes to bead color, choosing charms that hang from the pin and making a decision about what finish the charm will sport. The charm could be copper also to unify the pin’s overall style. If a silver, gold or colored charm is attached, the look will be more eclectic and less formal. These pieces hold their own as style statements but look good is clusters too. They can adorn inanimate objects such as a bulletin board or add some verve to the lapel of a denim jacket or a blouse collar. However they are displayed, they are bound to attract compliments. 1. Cut about six inches of copper wire from the wire roll with the wire cutters. 2. Bend one end of the piece of wire into a very small loop using the needle-nosed pliers. 3. Pour beads of two different colors into two separate bowls. 4. String eight or nine beads of one color onto the length of wire so they are next to the loop. 5. 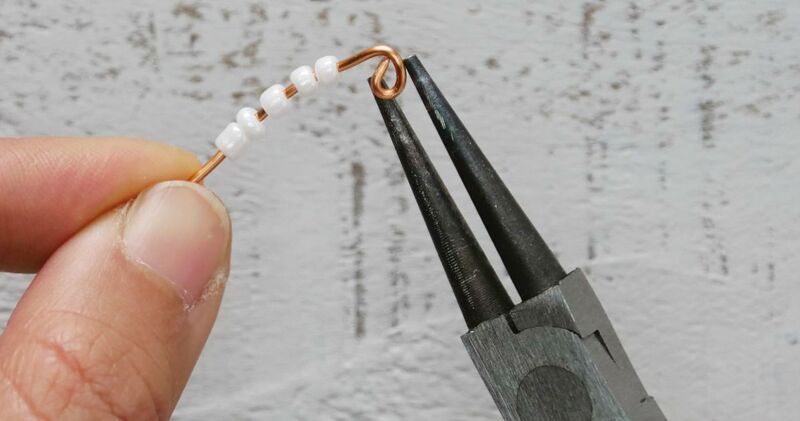 Bend the first beaded section into a circular spiral shape around the wire end loop with the pliers. 6. String about 15 to 20 beads of the second color so they are beside the first group of beads. 7. Repeat Step 5, continuing to create a spiral form. 8. Repeat Step 6, using about 30 to 40 beads of the other color and continue bending the piece in the spiral shape so it forms a flat circle. 9. Bend the unfinished end to form another small wire loop. 10. Cut away the excess wire with wire cutters. 11. Loosen the loop slightly with the pliers so the small charm can be threaded at the end of the loop. 12. After the charm is threaded, tighten the loop again with the pliers so it is secure. 13. Remove the clutch back from a tie tack jewelry hardware piece. 14. Affix the hardware’s flat disc piece to the center of the back of the beaded pin with hot glue. The pin portion should face outward. 15. Place the clutch back piece on the pin and allow it to dry. 16. The piece is now ready to wear and can be pushed through the fabric of a coat or jacket lapel, shirt, hat or sweater.